General elections are fast approaching and political parties are concluding their primaries to elect those who would be their flag bearers in the coming 2015 National elections. As we enter into the last lap of selecting our government representatives, it is important that we do not sell our votes, rather it is imperative that we choose the best man or woman for the job. Also of utmost importance is that we all observe proper discipline in election matters. This post is a first in a series informing you about electoral offences as provided for in the Electoral Act (2010), particularly the offences of buying or selling of voter’s cards. 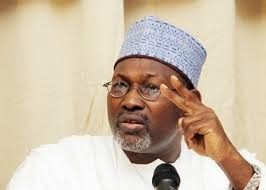 Buys or offers to buy any voters’ card whether on his own behalf or on behalf of any other person, commits an offence and shall be liable, on conviction, to a fine not exceeding N500,000.00 or imprisonment not exceeding two years or both. By virtue of the above provisions, anyone caught with the illegal possession of voters’ cards will be prosecuted and if found guilty may end up behind bars or having to pay a hefty fine. Manipulating the voter registration process is also an offence. Knowingly makes a false declaration in his voters’ registration form. Commits an offence and is liable on conviction to a fine not exceeding N100,000 or imprisonment not exceeding one year or both. Obviously there is jail time involved for anyone found guilty for any of the acts mentioned above. 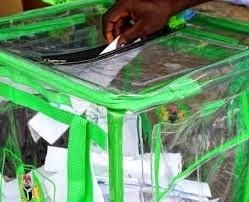 Persons who also by duress or threats hinder others from registering as a voter is liable on conviction, to a fine not exceeding N500,000 or imprisonment not exceeding two years. Kindly share this post with others to ensure that many people are deterred from carrying out any of the above offences and if you discover anyone doing same, please report immediately to the nearest police station.